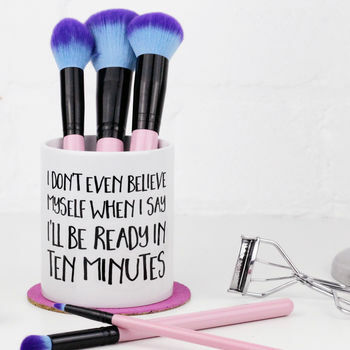 This makeup brush holder will add a touch of humour and positivity to any bathroom or dressing table! 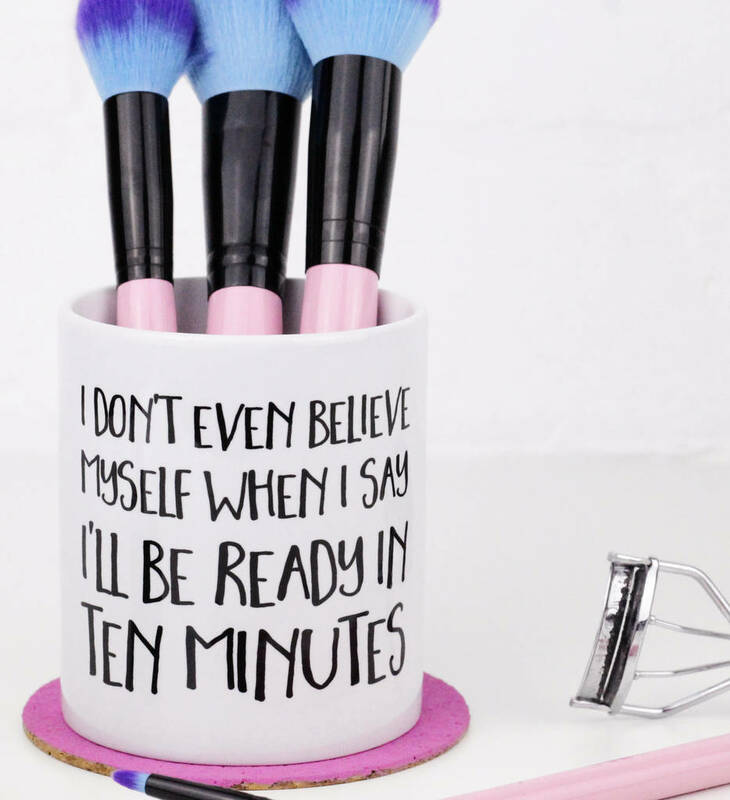 It is made from high quality ceramic, making it perfect to hold all your most important makeup tools. 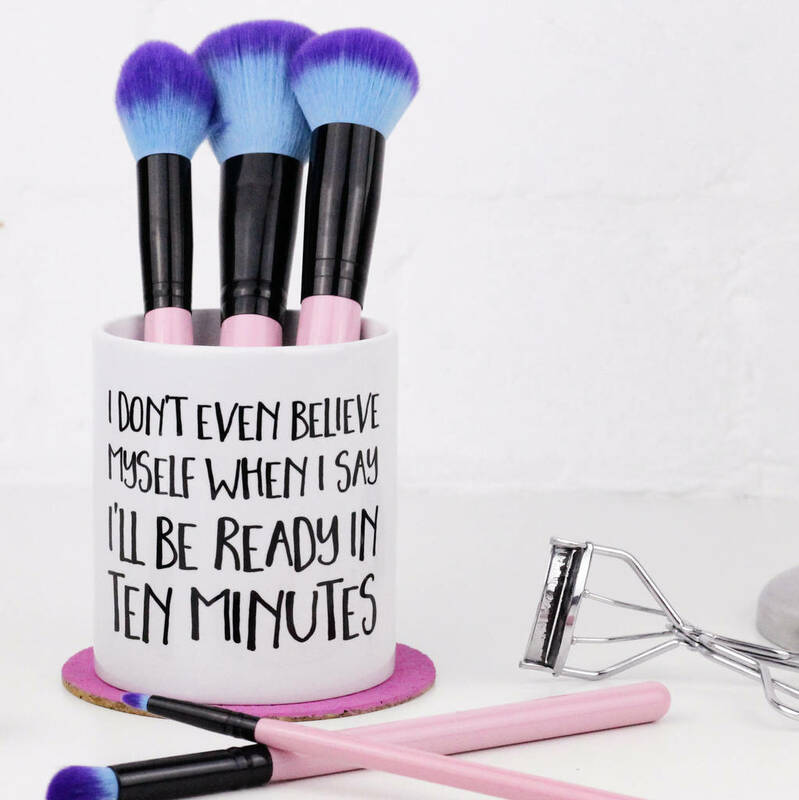 The brush holder measures 92mm x 80mm. This product is dispatched to you by Elsie & Nell.